Subject: Khatti, Jafar ibn Muhammad, -1619 -- Criticism and interpretation. Subject: Arabic poetry -- Bahrain -- History and criticism. 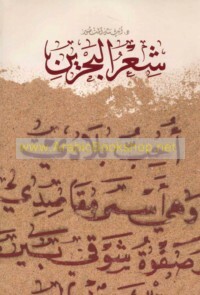 ديـوان أبـو الـبـحـر ، شـعـر جـعـفـر الـخـطـي، دراسـة تـحـلـيـلـيـة أدبـيـة ، ت 1028 هـ / 1618 م .